Just about every circular knitting pattern out there advises knitters to ensure the stitches aren't twisted before joining in the round to knit. There's a very important reason for that. If your knitting stitches are twisted when you begin to work in the round, that twist will stay in the knit fabric, causing a twist in the knitting rather than producing a smooth, flat fabric. There is one point at which you can turn the problem of a twisted circular knitting project around, and that is after you knit the first round. 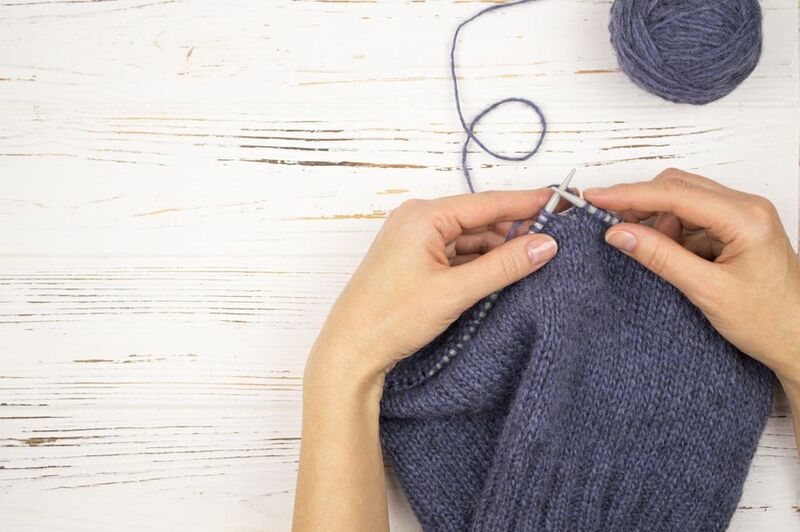 If you take a look at your project at that point and notice that there is a twist, you can remove the twist by turning the knitting and working the twist out. It may be a little noticeable in the cast on edge that something strange has gone on, but it's not a big deal. I've read that you can do this even after you've knit up to three rounds, but it will get more wonky and noticeable the longer you wait to fix it, so the sooner, the better. The bad news is there's no way to fix a twist once you've worked past the first round or two, beyond ripping out your work and being more careful the next time. Theoretically you could knit your whole project with the twist included, cut the work open, steek-style, straighten it out and sew it back together but there are several potential problems: that is scary and a lot of work and a garment worked to a proper size might end up being too small once you cut and seam. Another cute pattern that uses a purposeful twist is the Epiphany Twisted Cowl (PDF) from Cascade Yarns. Begin by lining the stitches up to join them without a twist like you have done in the part. Have the tops of the stitches facing up and the cast on edge facing down. Now take the first 3 or 4 stitches and twist them just 180 degrees so that the top of the stitches are facing down and the cast on edge up. Place a marker and knit the first stitch to join and then continue knitting twisting the stitches to get them in the right orientation to knit them comfortably as you proceed around the needle. A good trick for ensuring your stitches aren't twisted is to lay the work down on a table after you've cast on and make sure all the stitches are facing the same way without a twist before you join in the round or start knitting. You can also knit a few rows back and forth before joining in the round; then it will be simple to see there's no twist. You'll have a short seam to sew at the end, but it's not a big deal compared to the unpleasantness of having to rip out your work when you discover a twist.